Styrbjôrn had the stone raised in memory of Sigsteinn, his father, Holmsteinn's brother. 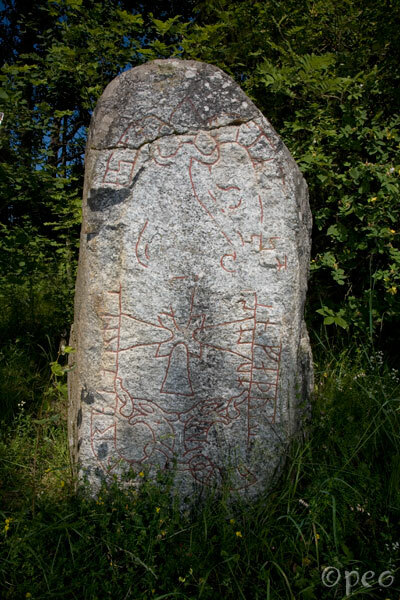 About 200 metres to the west is another rune stone. 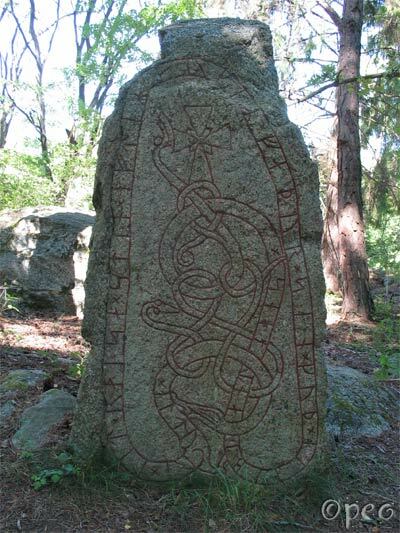 <ilturi> had the stone raised in memory of Siggeirr/Seygeirr, his father. May God help his spirit.